While a concept like that of enterprise content management might come off as abstract, one of the important things in getting a grasp for what different kind of business software actually do is understanding that many of those systems are built to address business-related issues that have already existed since before there was a concept of software or personal computers. The core of the modern CRM solution, for example, is an iteration on what Rolodexes and address books did for decades: keep track of someone’s contacts and clients in a centralized, easily accessible location. Enterprise Content Management, or ECM, is no different. 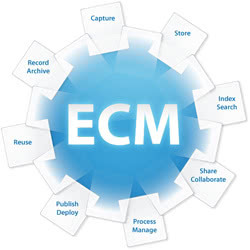 What ECM does for an enterprise, however, is slightly more holistic in nature. 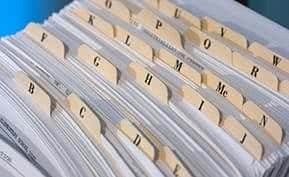 Think of all the paperwork–physical or digitized it takes to keep a business operational on a day-to-day basis: internal documents, customer-facing forms, manuals and guides, even emails and individual files on a shared network folder. All of those fall under the jurisdiction of an ECM system, as unstructured data (which is a technical term for ancillary documents like .PDFs, emails, blog posts and text files) to be captured, centrally stored, indexed and managed (in the same way a smaller-scale Content Management System would manage all the content to be published or underpinning a website) as part of a coherent workflow. If it sounds a bit abstract, that’s because it is. ECM is as much a component of overall business strategy as it is a technological solution. If the nature of unstructured data implies chaos, then a ECM system strives to wring order (or at least value) out of that chaos. Compliance: The sort of enterprise that would have need of a real ECM solution is typically a larger one, or at least one that deals with huge amounts of unstructured data on a regular basis. 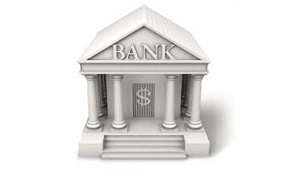 For such organizations compliance with major regulatory laws like Sarbanes-Oxley are most likely a serious consideration for legal department, Finance and executive staff in general. A strong ECM system will contribute to a healthier compliance environment through greater fidelity in record keeping, documentation of procedure and standardization. Collaboration: Of course, it seems like every enterprise software solution these days has a bullet point about how it facilitates greater collaboration. ECM contributes to this goal by serving as a one-stop repository for all the backlogs of an enterprise’s internal and external communications, especially those pertaining to ongoing work projects. If you log all your email exchanges with clients and store them in the cloud or some other data silo then that’s part of your ECM strategy. Continuity: Enterprise software segments are hardly devoid of overlapping into each other, and service continuity is where ECM skirts on the edges of a role traditionally filled by a IT service management (ITSM) solution. Whereas ITSM focuses on maintaining the fidelity and performance of the nuts and bolts that make up your IT infrastructure, ECM is centered on maintaining all the unstructured data you transmit across that infrastructure. As AIIM states, an organization doesn’t typically recognize the cost savings of a disaster recovery plan until after the disaster happens. Cost: The other three benefits listed here feed into the fourth. While it may be difficult to track many of the cost savings that come with an effective ECM system, they are there, and greater efficiency and reliability across all the processes of an enterprise should be a major ROI in and of itself. IBM’s ECM solution features full suites for content management, social content management and, most importantly for unstructured data, content capture functionality. 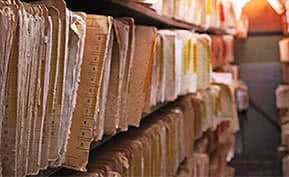 Content capture allows for the scanning and uploading of physical records as well as the display of those records as image or .PDF files, an invaluable tool especially for organizations in the midst of a conversion to a paperless workplace. Sharepoint has been around for awhile, and has had a funny history from its debut in 2001 to its current 2010 build. Originally released as a basic CMS solution, it’s since expanded in size and purpose to include many WMS features and, more recently, aspects of enterprise social. Sharepoint ECM focuses heavily on the compliance side, emphasizing its version control and document auditing features. As the company primarily known for its cloud-based Atmos big data storage service, EMC knows a thing or two about handling reams upon reams (think petabytes) of unstructured data. Documentum brings data sorting and indexing as well as analytical insights to both on-premise data and data silo’ed offsite in the cloud. To find other top ECM solutions other than the big three, Business-Software.com offers a Top 10 ECM report which compares pricing, key features and delivery models of the best enterprise content management solutions in the industry. For additional resources, the CMS resource center provides extra reading material such as articles, blog posts and reports to browse in order to research and harness the world’s information on ECM.